World Record Title: Mr. Xu Zhili created "the world's first tiger" painting in the bottle is the world's largest "tiger" painting in the bottle. 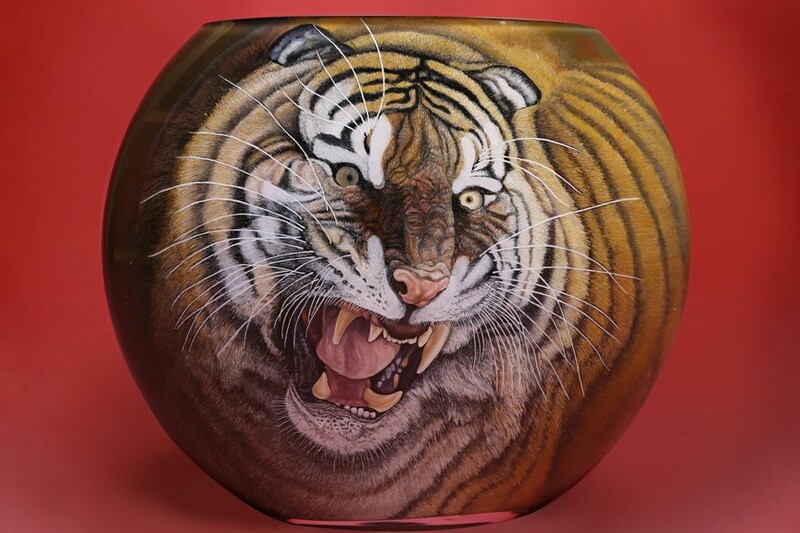 World Record Holder: Mr. Xu Zhili created "the world's first tiger" painting in the bottle. World Record Field: painting in the bottle. World Record Rules: 1, the world's largest "tiger" painting in the bottle. World Record Value: The width of the bottle is 39.6 cm, height 32.6 cm, thickness 16.8 cm, upper diameter 25.2 cm, upper diameter 12.5 cm, base length 19.7 cm, base width 10.45 cm. Mr. Xu Zhili created "the world's first tiger" painting in the bottle is the world's largest "tiger" painting in the bottle. Verified on 12 May 2017.